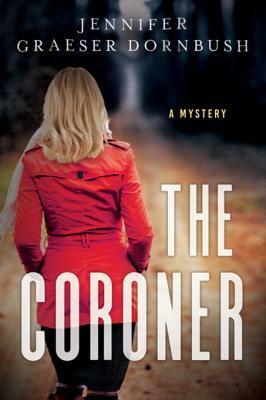 The Coroner is a story of a young woman, Emily Hartford, an up and coming surgeon and recently engaged is called home because her father has had a heart attack. Her father is a medical examiner in the small town that Emily grew up in. She and her father are estranged because of the death of her mother. Emily was never told how her mother died, all she knew is that she died in a car accident, but she knows that there is more to the story than what she was told by her father. A young girl is found murdered and Emily is asked by her father to do the autopsy. She does this and finds herself drawn into the investigation. She renews her friendship with an old flame, the sheriff, Nick Larsen. Her fiance wants her to come back to Chicago to resume her life there with him, but as time goes on, Emily is not so sure she wants to. Emily is threatened and time races as she and Nick try to find the killer. This is a bit difficult as there are numerous suspects. This novel is written as a good murder mystery, good plot and is exciting enough to keep the reader turning the pages. I enjoyed it and look forward to reading more by this author! Love a good mystery? Then this book is worth taking a look at! Sign into Goodreads to see if any of your friends have read The Coroner.